As the year draws to an end, it’s not just time to say goodbye to the previous 12 months and set resolutions for 2019. It’s also time for the classic “best of” lists of 2018. While most people will probably be naming their favorite movies or memes, for our part, we wanted to highlight some of the most inspiring and influential nurses we’ve heard of in the past year. We’ve rounded up 12 nurses, one for each month of the year, whom we find especially powerful and moving figures. If these nurses don’t make you want to run out, buy some scrubs and enroll in nursing school, we don’t know what will! The deadliest Atlantic hurricane since 2004, Hurricane Maria ravaged Dominica and Puerto Rico in late September of 2017. The death toll was recently revised upwards to nearly 3,000 people. Soon after the hurricane cleared, nurse Cathy Kennedy set foot in Puerto Rico as part of the nonprofit Registered Nurse Response Network, which marshalled 50 volunteer nurses to provide emergency medicine. After two weeks of coordinating healthcare volunteers on the ground, Kennedy returned to the U.S.—but her work wasn’t done yet. For example, she joined Minority Leader Nancy Pelosi and Puerto Rican members of Congress to plead for aid at a press conference. She later testified before Congress, and spoke out again when FEMA suggested ending rations even though much of the island still lacked power. While Congress eventually appropriated $16 billion for disaster relief funding, Kennedy says there is still much work left to be done when it comes to disaster preparedness and relief, and she plans to keep advocating. More than 100 years old, the Royal College of Nursing in London has the distinction of calling Queen Elizabeth II its patron. This institution just elected its next president, Anne Marie Rafferty, who will take office on January 1, 2019. Currently a Professor of Nursing Policy at King’s College London, Rafferty has also been named one of the 70 most influential nurses in 70 years of the National Health Service (a public funded healthcare system in England, commonly abbreviated NHS). In her new role as president—which she will hold for two years—Rafferty will act as an ambassador for the Royal College and the nursing profession at large, representing them to the RCN’s members, stakeholders and the world. This entry is a two-for-one, but it’s impossible to separate Whitney Nash and Sara Robertson for their work at the Kentucky Racing Health Services Center. While the center was originally conceived as a clinic that could provide track workers—who often don’t have health insurance—with medical care for a small co-pay, Nash and Robertson quickly realized that the workers need far more than just first aid and antibiotics. The two nurse practitioners grew the clinic to offer care for other common chronic issues, such as diabetes, hypertension and allergies, as well as to provide Pap smears and wellness exams. They also did PR work to spread the word about the center and encourage workers to come seek help rather than working through an illness. The clinic has now evolved into a full-service medical center that provides 1,400 office visits a year. Gloria Ramsey is a nurse and an attorney, and she added yet another role to her resume earlier this fall when she was named the Associate Dean for Diversity, Equity, and Inclusion at the Johns Hopkins School of Nursing. Her career and research have focused on bioethics, end-of-life care and advance care planning, especially for African-American families and those with disabilities. Ramsey has taught many different subjects—including bioethics, research, public health, military ethics and health policy—to nursing students before, and as Associate Dean she will now broaden her scope to promote diversity, equity and inclusion among the Johns Hopkins nursing school community as well. For all her work, she was named one of the monthly featured nurse leaders of the American Academy of Nursing in 2018. Sarah Header grew up protesting abortion clinics alongside her devout Christian parents, and she herself was once a staunch anti-abortion supporter. But when she took a women’s studies class in college, her beliefs began to change and she ended up getting an abortion herself when she was 26 and got pregnant at the start of a new relationship. She made the appointment at Red River Women’s Clinic, the only abortion facility in the entire state of North Dakota. Header was so impressed by the compassionate care she received that she quit her job six months later and become a patient educator at the clinic. But even that didn’t seem like enough for her, so she eventually enrolled in nursing school. She now works at the clinic that once affected her so much, giving out the same compassionate care she once received herself. You might not think that nursing and theater have anything to do with each other, but think again. In her new model the Farm Dinner Theatre, nurse Deborah Reed has crafted three short plays that depict the physical and mental struggles of farming and explore the effects the profession has on their health. In between the plays, a nurse facilitator leads the audience in a discussion so they can process the skit and relate it back to their own lives, and they follow up on the experience with a couple of phone interviews. Compared to other professions, farmers are more likely to experience health issues such as arthritis, hearing loss, hypertension, skin cancer, cataracts, musculoskeletal disorders and nonfatal and fatal injuries–and many of them will continue working until they are physically unable to. Interventions like Reed’s Farm Dinner Theatre help encourage this at-risk group to take better care of their health. 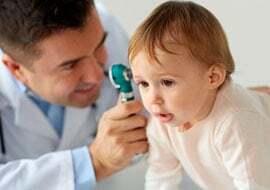 While school nurses certainly get their fair share of minor ailments, they also deal with much more severe cases sometimes, made even scarier by the fact that they’re treating small kids who are just trying to learn. For example, nurse Patti Butler once recognized the signs of a blood disorder in a kindergartner on the first day of school. The child was soon diagnosed with leukemia (he’s in remission now). She also guessed correctly that a sixth grader had fractured her skull in a playground fall due to bleeding deep in her ear, even though there were no other obvious injuries. Butler has faithfully served the students of Zane North Elementary School in Collingswood, New Jersey for almost two decades. 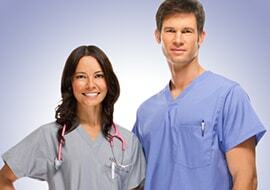 She has helped identify and treat ailments large and small in her young charges over the years. There are many (many, many) examples of doctors who are also writers, including some who have gotten rather famous from their books. However, there’s not that many nurse-writers out there, especially those who have achieved as much fame as their doctor-writer counterparts. Christine Watson is one of the few nurse-writers out there, and she released a book earlier this year entitled A Language of Kindness: A Nurse’s Story. The book draws on her more than 20 years of nursing experience and takes readers into the halls of the hospital to meet her former patients. While Watson recently retired from nursing to focus on writing full-time, her two decades of experience are evident in the stories she tells and the care she treats them with. Hopefully, she will share many more nursing stories to come in the future now that she has turned her full attention towards writing. Clinical research nurse Pamela McTague knows what it’s like to undergo breast cancer treatment. In fall 2016, she was diagnosed with cancer in both breasts and had a lumpectomy, radiation and plastic surgery to treat it. Now, she spends her days meeting with patients after they’ve been diagnosed, guiding them through clinical trials, explaining what will happen when and monitoring their status. She also stays in touch with her patients, maintaining relationships for months or even years–sometimes long after remission. While she never had chemo herself, she’s very sensitive to the effects that it can have on patients both psychologically and physically and encourages patients as they go through the process. 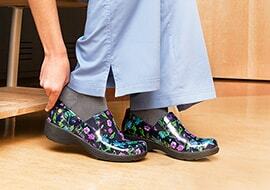 Nurse practitioner Janel Perez doesn’t wear scrubs or work in a hospital. Instead, she dons durable jeans and sensible sneakers and carries her supplies with her as she works among homeless veterans on the streets of LA. There are almost 40,000 homeless veterans in the U.S. and about 25 percent of them live in California, often congregating in large cities such as San Francisco and LA. Back in 2011, Perez launched her mobile medical clinic to serve these veterans and help them find a place to live. The program has grown and evolved. It now serves 6,000 veterans a year, providing checkups, first aid, mental health counseling and social services. Since many veterans often struggle with mental illness (especially PTSD) and substance abuse, it often takes multiple visits to gain their trust. Perez focuses on patiently building relationships over time until veterans feel comfortable enough to open up to the possibility of change. Another nurse who seeks to provide support for veterans is Cheryl Krause-Parello, who founded the research initiative Canines Providing Assistance to Wounded Warriors (C-P.A.W.W.). Through C-P.A.W.W., Krause-Parello is investigating how nurses and other healthcare providers can use the human-animal bond to enhance care for veterans. Therapy dogs are already used to help veterans with PTSD and related problems after they retire from active duty, but the research hasn’t pinpointed and quantified exactly how service dogs can help veterans. Through C-P.A.W.W., Krause-Parello is trying to measure these results objectively and precisely in order to prove exactly how veterans benefit from being around and interacting with the animals. Anyone who interacts with the U.S. will quickly realize the drawbacks of the fee-for-service model it currently depends on. Billie Lynn Allard, administrative director of Population Health and Clinical Ambulatory Services at Southwestern Vermont Medical Center, devised an alternative model that could effectively replace the fee-for-service model. Her integrated care delivery system brings together interdisciplinary professionals, engages multiple communities, reduces service duplication and shifts acute care resources into the community. And Allard’s model is working. Over one year, the Accountable Community of Health model reduced hospital admissions by 46.8 percent. 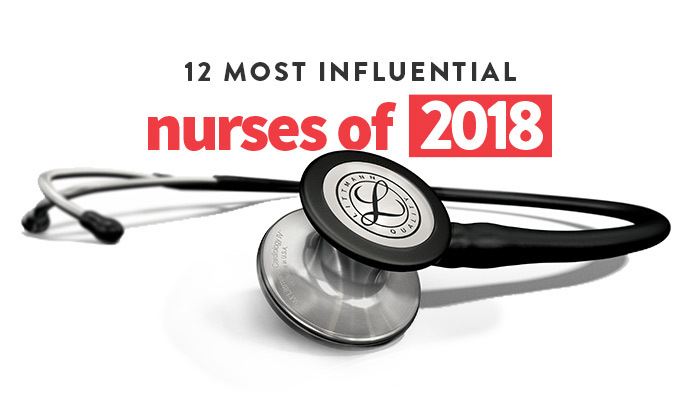 So there you have it: some of our most influential nurses for 2018. While we decided to cap the list at 12 nurses, we could have gone on for pages and pages about all the inspiring nursing stories we’ve heard so far this year. 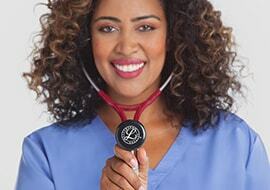 Besides, every nurse is so influential in the lives of their patients that they all deserve to be on a “best of” list! Thank you for all the hard work you do–in 2018 and every other year.